We went out on Wednesday, and drove North to my Dad's house. 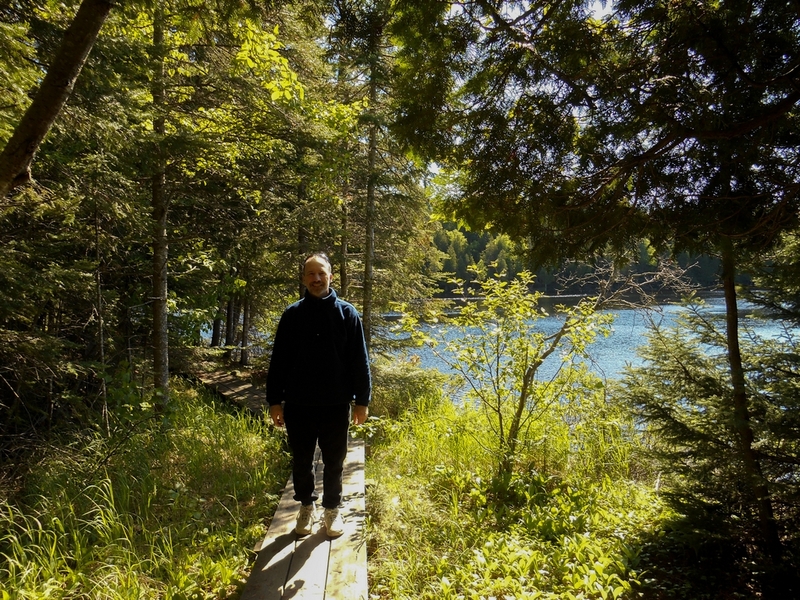 Interestingly, when we arrived at the Minneapolis St. Paul airport it was 81' F. When we arrived 3 hours later in Silver Bay, it was 48' F. A 33 degree drop; this was not due to the time passed as much as to the latitude and proximity to Lake Superior. Dad and Cristina had a meal ready for us after our journey. The following morning, very unusually we were told, the power was out. So Dad, Cristina, Carmen, Paul, and Anne ended up having to go out for breakfast. 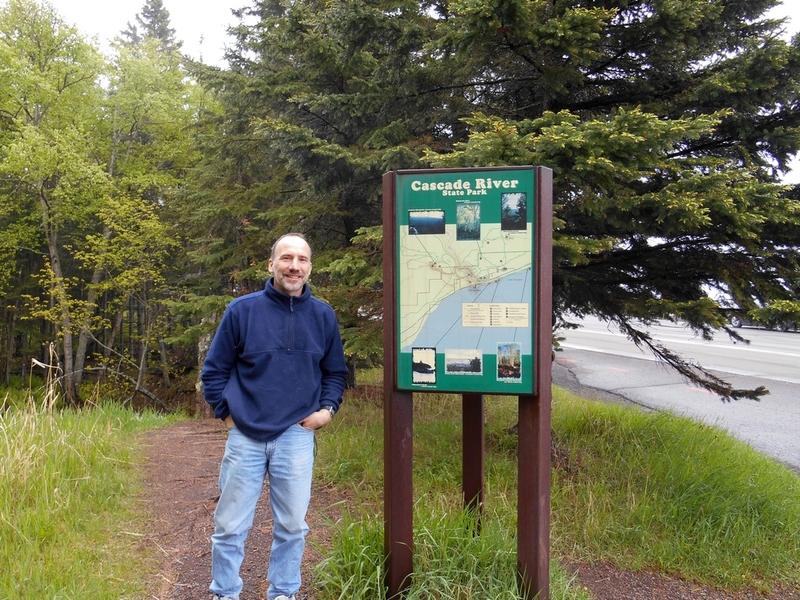 We went North, and afterwards stopped at Cascade River State Park. 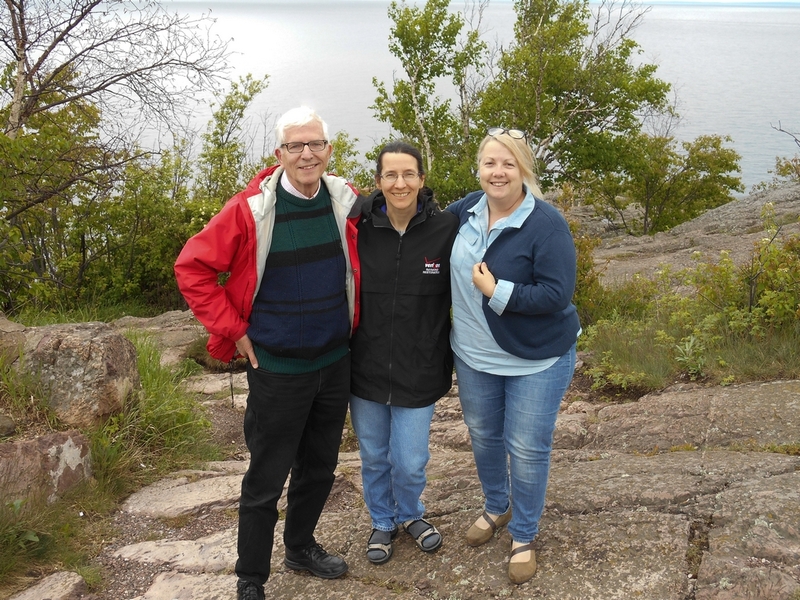 Dad, Paul, and Anne did a short hike. This park is really very nice. 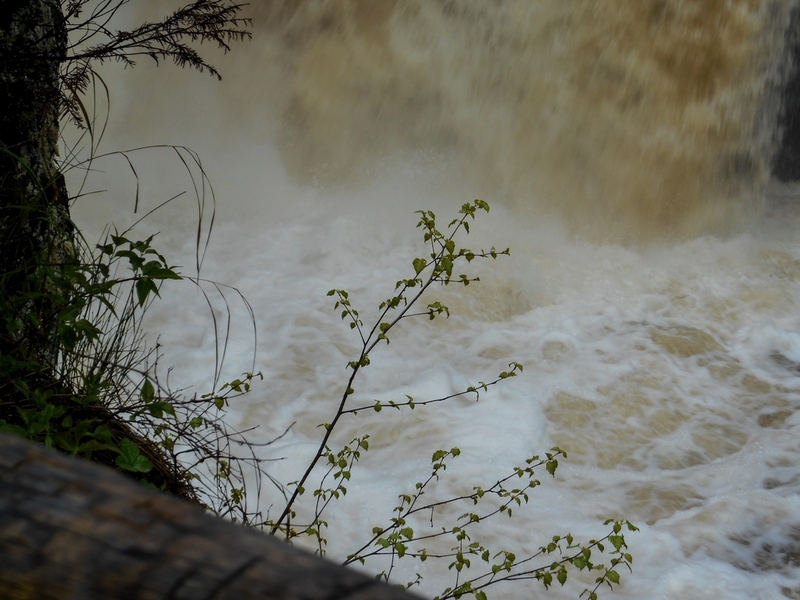 The spring melts and rains have created a vigorous water flow. Here are Anne and Dad in front of the falls. We were noting the brown color of the water, and wondering if it was dirt or iron. 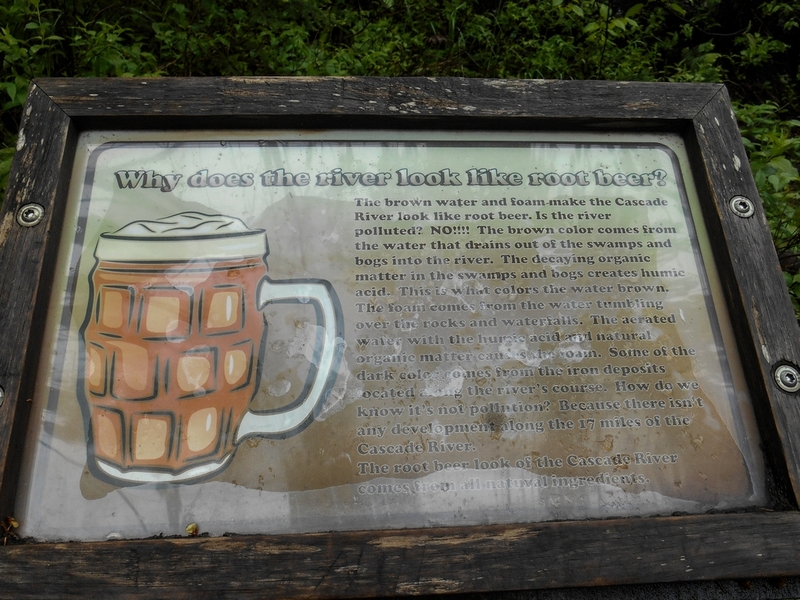 Conveniently, the park provided information on this. 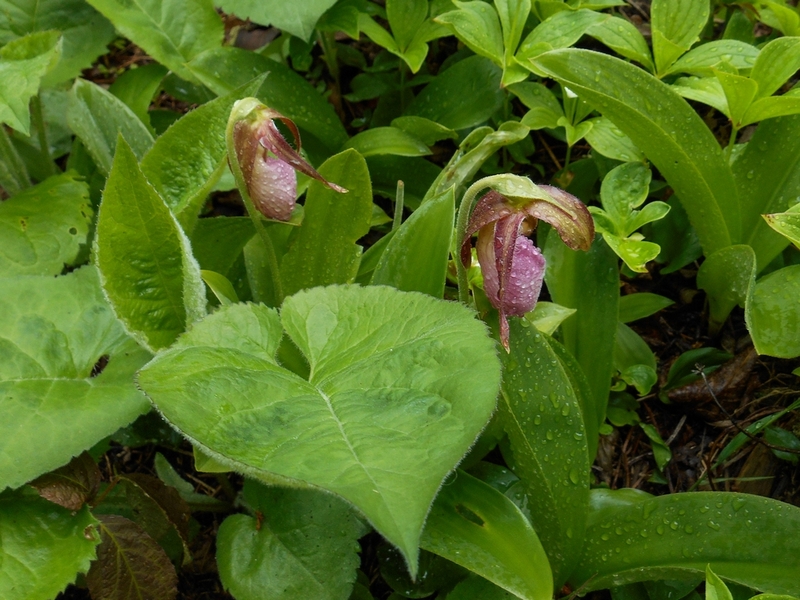 We were fortunate enough to see a number of lady Slipper flowers in bloom. 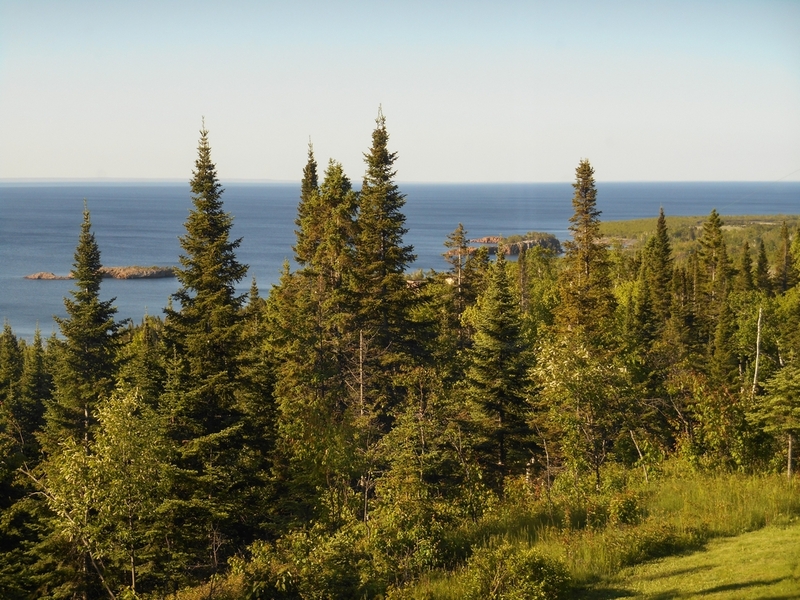 The Minnesota State Parks have "Hiking Club" signs, which seems rather fun. There was one here on a linking path. If you join, you can earn a free night at a campsite. By the time we got back to the car, the fog was moving in. 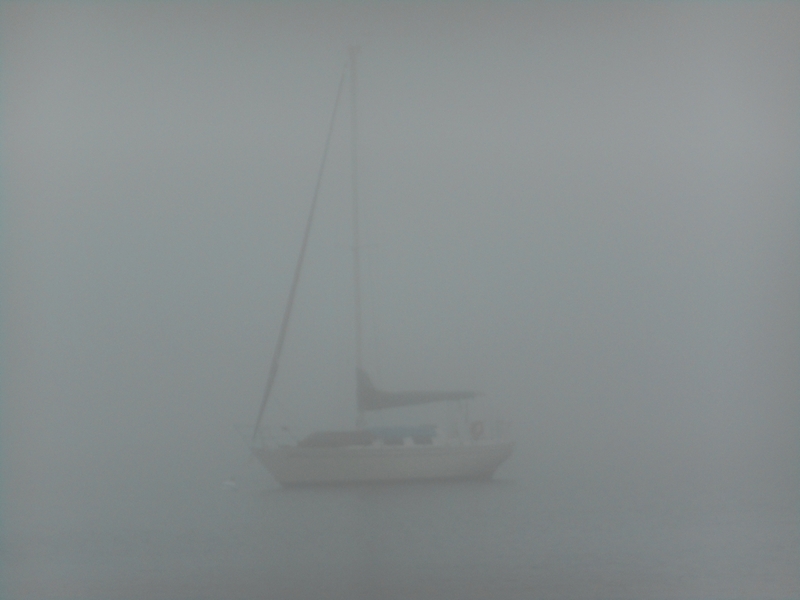 We proceeded on to Grand Marais, where the fog limited the visibility but added a lot of atmosphere. 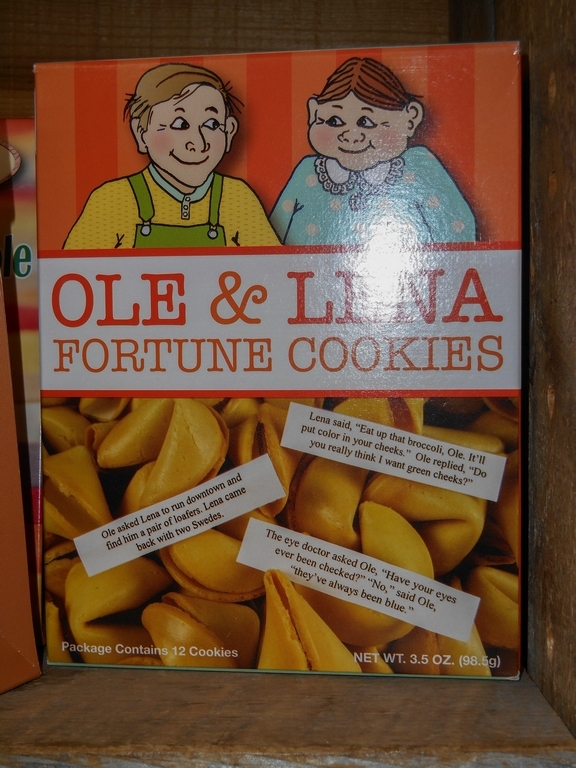 At the Trading Post (good spot for camping equipment, if you need any for a boundary water trip), Anne got a kick out of the Ole & Lena fortune cookies. 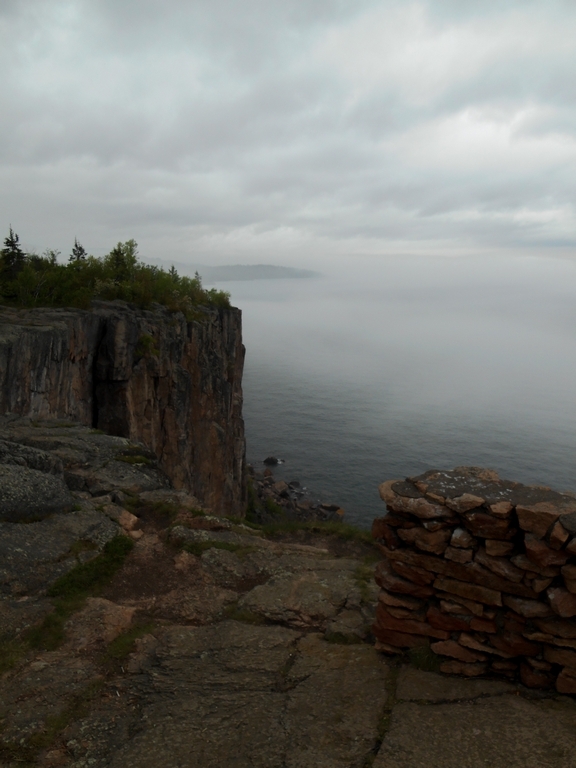 The fog coverage was fairly defined; we stopped at Palisade Head. 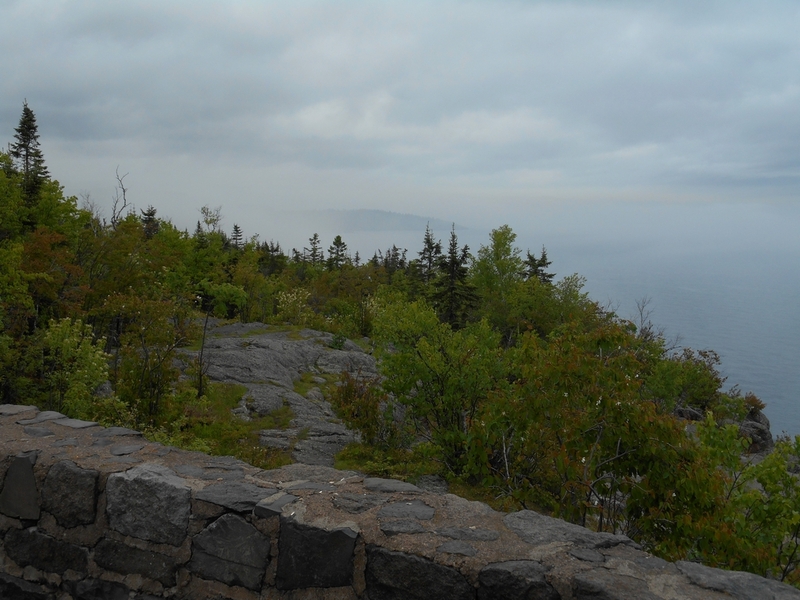 Looking towards Shovel Point shows the fog just North of us. I darkened this next photo slightly so you could see the fog 'fingers' reaching out over the lake. 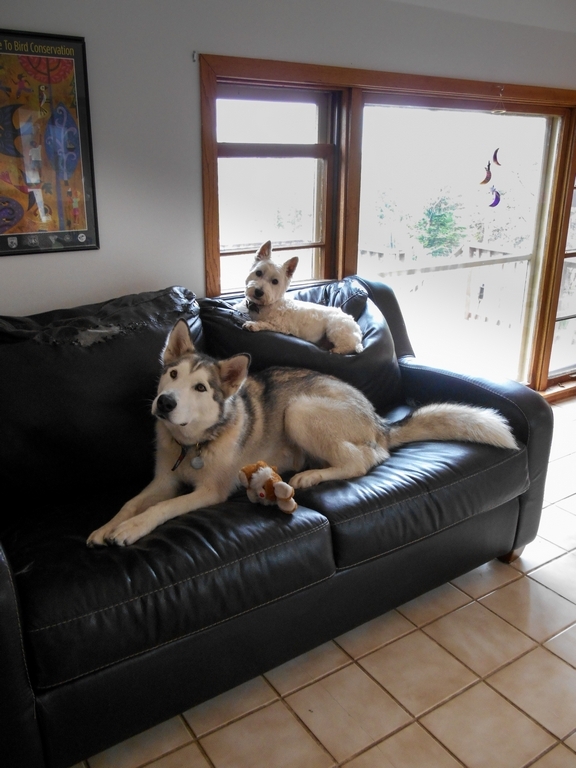 Jiffy and Fritzy kept us good company. The 5 of us (no dogs) went into Duluth to watch the Brazil vs Croatia soccer match (Brazil won). 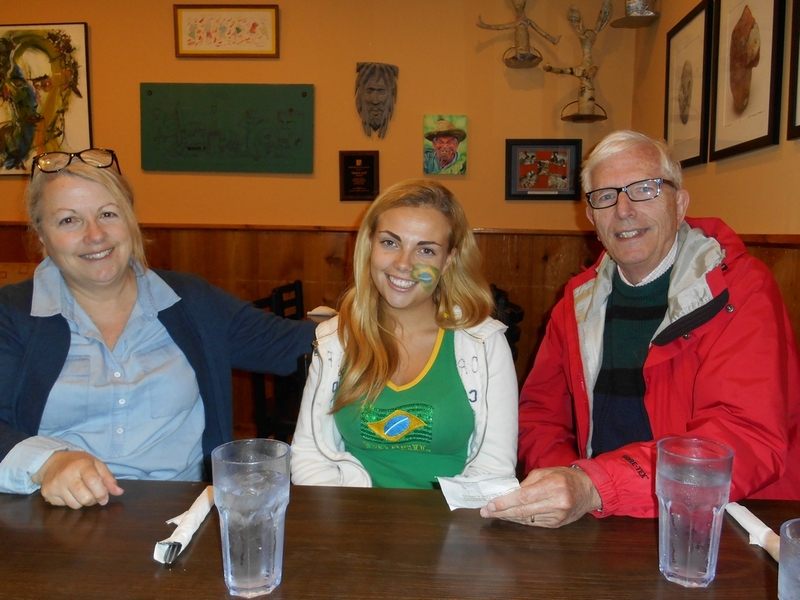 Here is Cristina, Carmen, and Dad at lunch; Carmen is decorated for the upcoming game. 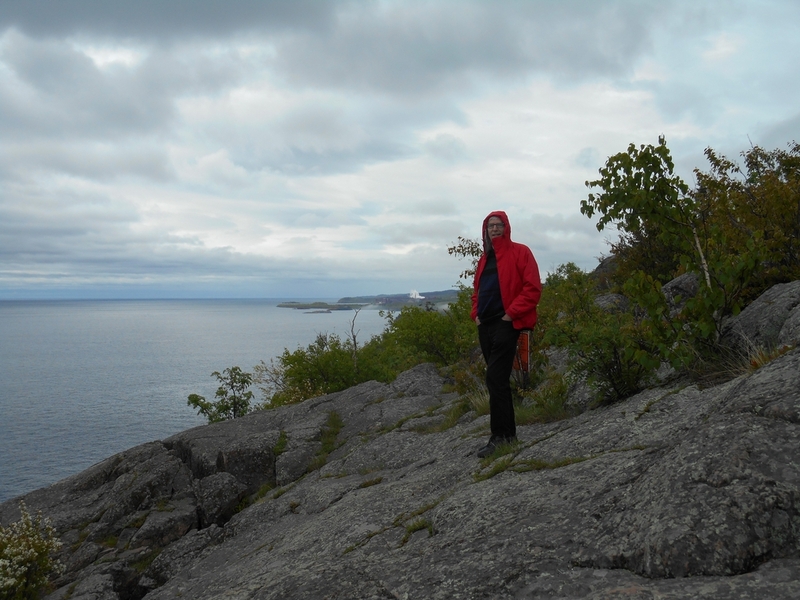 The following day we went to George H. Crosby Manitou State Park. This park is slightly off the beaten track, so it was quiet. 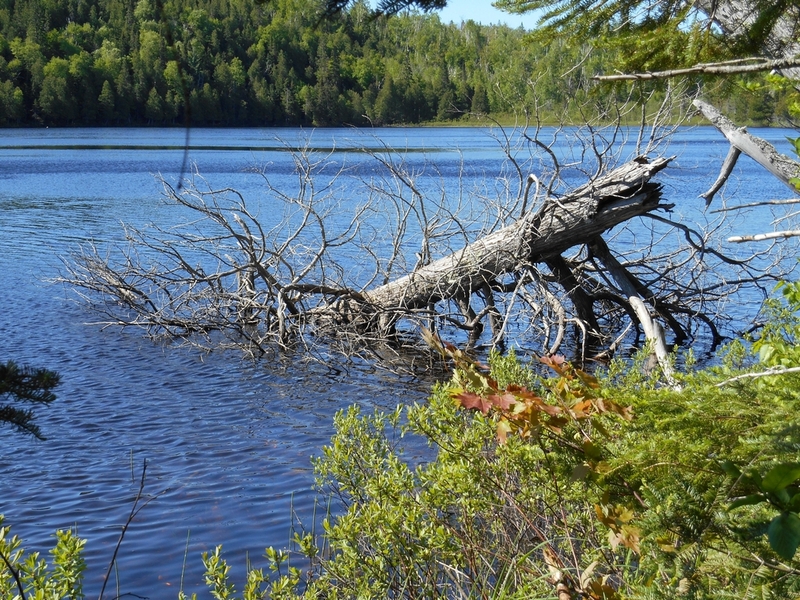 Benson Lake is the center of the park, and there is a nice walk around the lake. Cristina took a spill early, but soldiered on and did the walk. Jiffy was off-leash, and ran around like a dog possessed. Fritzy had to stay on the leash, although Paul did run with him (which for Paul was a jog). 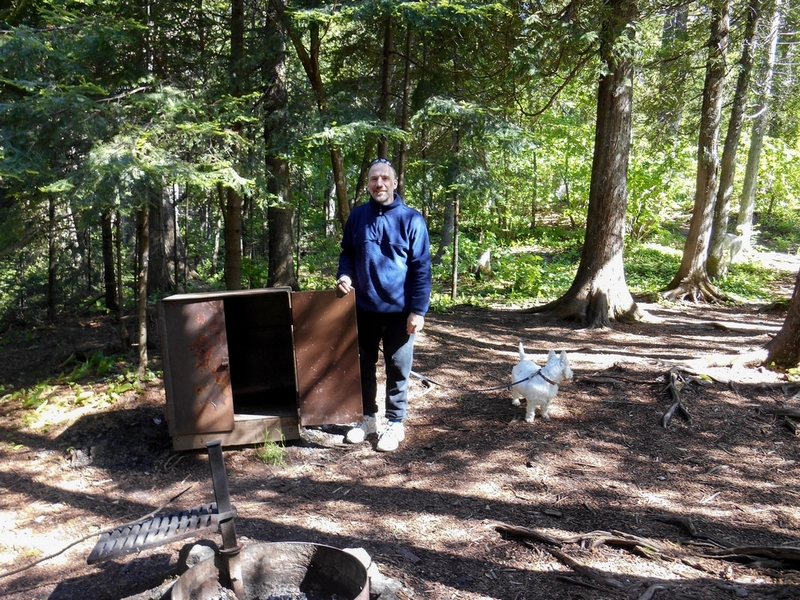 There are campsites on the outside of the circular walk, and at each site was a metal 'bear box' to protect campers' food.